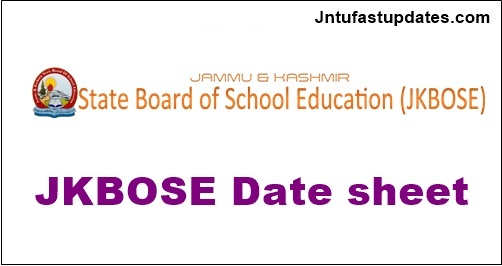 JKBOSE 12th Date Sheet 2019: Jammu and Kashmir Board of Secondary Education has released the Annual exam date sheet of 12th class students 2019. JKBOSE Class 12 annual exam for jammu division on 23rd February and conclude on 18th march 2019. Students can download their date sheet of HSE examination from official website jkbose.ac.in, indiaresults.com. 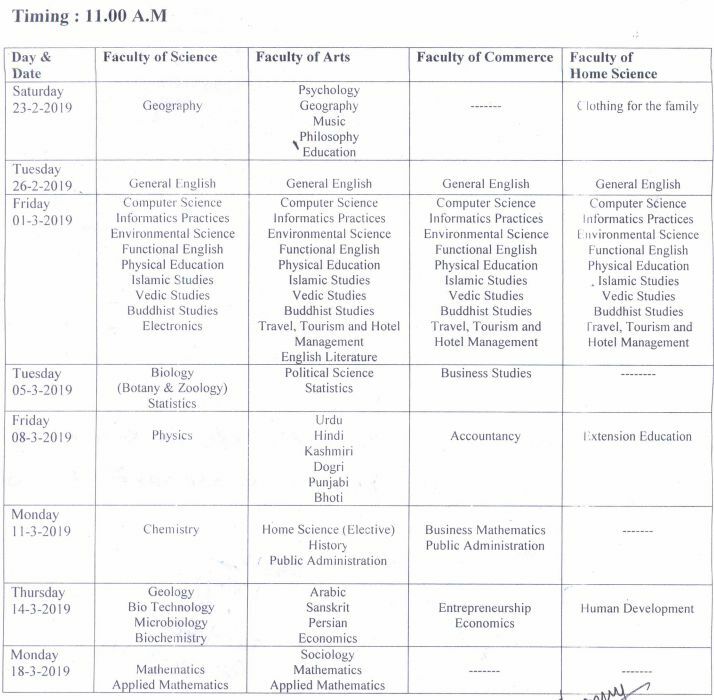 JK BOSE 12th Date Sheet 2019 has been announced by the authority through online mode. Jammu and Kashmir Board of School Education (JK BOSE) conducts board exams annually for 10th and 12th class students every year. Last year 58,293 students were appeared in the JK BOSE out of which maximum students cleared the examination with good scores. The date sheet of JKBOSE for the session 2018-2019 for the 10th and 12th class has been announced soon. Date Sheet 2019 for 12th class has been declared by the JK BOSE conducting authority. Check the detailed information of JKBOSE 12th Class Date Sheet 2019 from this website. The JKBOSE organizes the annual exams twice in a year for all the three stream. The first exam is held in the month of September and October while the second one is held in the month of February and March every year. They announced the date sheet of the respective exam at least one month prior to the exam every year. This year the Bi-annual exam will be held in the month February/March 2019 as expected and the practical exams will be held in the month of March 2019. The Candidates are advised to bring their Admit card/ Registration Card on all examination days for verification. The practical test shall be conducted immediately after termination of theory examination. The concerned candidates shall contact respective Heads of Institutions / Sub Branch Board Offices and Head Office Bemina, Srinagar regarding practical programme. Examination Centre has been specified on Admit Card. Visit the official link: http://jkbose.jk.gov.in. You will be redirected to the date sheet page. It will be displayed in a pdf format. Download it & take a print copy of it for exam preparation. JAMMU and Kashmir BOARD: The Higher Secondary exam in the state of Jammu & Kashmir is conducted by the Jammu & Kashmir Board of school education. It is more often called as JK BOSE. It came into existence in the year of 1975 by the act of legislative council. The Jammu & Kashmir Board of school education has its affiliation in all the government and most of the private schools of the state. The board conducts the examination annually and bi-annually in the entire state of Jammu& Kashmir.